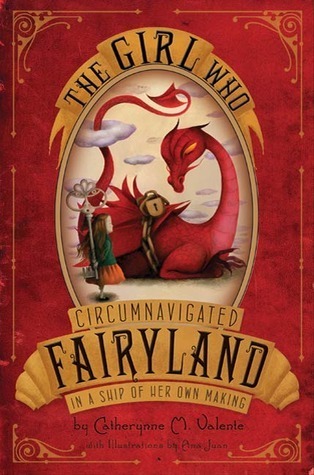 The Book Garden: The Reading Files - It's a Grimm's world! This week I spruced up my reading fare with some fairy tale foods. Nothing beats some light cuisine when you're in the middle of digesting a Stephen King chunkster. Thoughts. Imagine a library not filled with books but things, magical things. 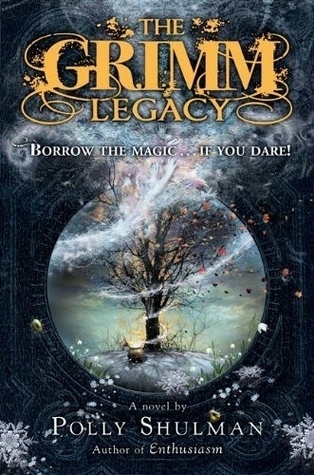 The Brother's Grimm did not just collect stories, they collected all the magical items they wrote about too. What an original idea and enchanting setting! More for younger readers, all right, but very enjoyable! Last lines. And my sense of direction? I'm still waiting. Verdict. A charmingly adventurous story of Grimm proportions! Thoughts. Beautifully written every sentence is a piece of art. The kind of art you should frame and put on the wall. The kind of art you don't touch or, dare I say it, read. Utterly contrived and stilted, it is beyond me how a child would enjoy this book. I didn't either, throwing the towel after only two chapters. First sentence. Once upon a time, a girl named September grew very tired indeed of her parents’ house, where she washed the same pink-and-yellow teacups and matching gravy boats every day, slept on the same embroidered pillow, and played with the same small and amiable dog. Verdict. Overrated fairy tale that is trying too hard! As I already mentioned above I also managed to bite a nice chunk out of It by Stephen King which I am currently reading for the Tea & Books Reading Challenge. And I must say, it's really not so bad to read more than one book at a time. With tomes like this it certainly makes sense too. The only downside is that the book drags. I mean I like it when authors paint a detailed picture but this isn't a canvas, this is the Sistine Chapel, but not in a good way. Is It good? I've never read a Stephen King book (I know, I know), but I've been meaning to get to it for months now. Probably before the summer ends (Southern hemisphere here). I've only ever started reading Stephen King myself sometime last year. As to "IT" ... well, it's quite the tome, revolves mostly around the friendship between those kids and isn't overly horrific in my opinion. Unfortunately the narrative is terrible long-winded and detailed to a fault, but now that I've started it I intend to finish it too (it's for my Tea & Books Reading Challenge, so I better make it to the last page, ha). I find that I enjoy books much more if I read one at a time. I read IT, and the horror you are meant to feel from that book can'y possibly be felt if you constantly interrupt it to read another book. You'll never like IT, the way most readers do. I usually only read a book at a time too. In this case though I tried to mix things up a bit and after reading the first 400 pages I was certainly ready for a break because the book horrible *ha* dragged. I dare say that if it were a real page turner I wouldn't even have given another book a thought, so ... I do blame it on the tome dragging with its overly descriptive narrative. Apparently I'm not the right reader for this book *shrugs* though I will definitely finish it.